A few weeks back, on facebook, I asked you guys whether you’d like for me to occasionally post some of my protein powder-less foods. You know, high-protein meals and stuff made without protein powders. I knew that a lot of you would say yes, but I had no idea the sheer AMOUNT of people who wanted this to happen. That post had close to 1,000 likes or something wild like that! And it surprised me, in a good way, because I had been wanting to expand the parameters of Pow towards protein powderless foods for quite a while now. 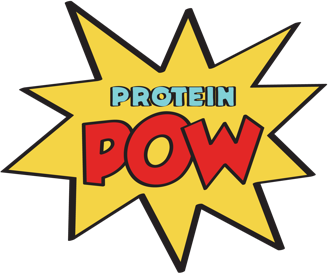 That’s why the ‘Pow’ in Protein Pow is shortened – to fit both ‘protein powder-based foods’ and plain old ‘protein-powered foods,’ you know? Anyways, after making that post I got an email from a company called Muscle Foods who said they’d love to work with me to create some recipes for their products. I’d head about Muscle Foods before but I hadn’t actually taken the time to look into what it is that they do. So before I said anything I logged on to their site and wohohohooooa! All kinds of meats and all kinds of gorgeous cuts – delivered straight to your door step. I told the dude I’d love to play around with his meats (please, be decent) and he sent me some chicken and beef. This is the first recipe I’m making with Muscle Foods chicken. And I have to say I’m impressed. You’re probably thinking. “oh, she HAS to say she’s impressed because she’s thinking about working WITH them.” But no, seriously. The chicken tastes SO different than the stuff I’ve been getting from the supermarket, for years! It’s pretty wild and at the same time a bit disturbing because… what have I been eating all these years??? I reckon if I’d bought my chicken from the local butcher the difference would be less dramatic but still. Muscle Foods’ chicken is delish. But enough about that. Let me tell you about this low-carb pasta dish. I REALLY want you to try it. It’s chicken breast with low-carb fettuccine, mushrooms, caramelized onion, nutritional yeast, and extra virgin olive oil. It’s something I make quite a lot actually. It’s delicious and the macros are crazy. There’s also nothing complicated to it and it takes no time to make. That’s probably why I make it so much. Because, believe it or not, I’m kind of a lazy cook (the shame!!! I know). If you don’t know what nutritional yeast is, let me tell you a little bit about it: nutritional yeast is comes from Saccharomyces Cerevisiae. It’s a yeast that grows on molasses and is then dried up and ‘inactivated’. By ‘inactivated’ I mean that it doesn’t act or react like regular yeast does. You can’t, for instance, use nutritional yeast to rise a bread or expect it to ‘grow’. That’s because, unlike regular yeast, nutritional yeast is not ‘alive’ or ‘active’ per se. But you know what it IS? It is extremely nutritious! And a great source of B-complex vitamins, iron, and riboflavin. Nutritional yeast is also a ‘complete’ protein in the sense that it features all essential amino acids. It’s low in fat, gluten-free, low in sodium, and it tastes a bit like cheese, that’s why a lot of vegans love it. I actually first heard about it when I was listening to a podcast episode of the Nutrition Diva (this is the episode in case you want to hear it). I thought it sounded intriguing, especially when she said that it went great on popcorn! So I went to the store, bought it, have been enjoying it with immense gusto ever since. 1. First, fry up your sliced onion with the sliced mushroom and salt or herbamare. I like frying them in coconut oil but if you’d like to use a low-calorie cooking spray like PAM, go for it. Let the veggies cook at a high-ish heat until the onions have caramelized nicely and the mushrooms are soft and ready to party. 2. Slice your chicken into strips and throw it into the veggie mix, stiring the whole thing around until the chicken has cooked. If you’re too lazy (which I sometimes am), I recommend just using some pre-cooked chicken. NOT store-bought pre-cooked chicken as that’s full of randomness. Just pre-cook a bunch of chicken breasts on, say, a Sunday, and use that the rest of the week. That’s what I did when I got a kilo of chicken breast from Muscle Foods! I just cooked them all so I can just throw them into different sauces and dishes and have for lunch/dinner this week. 3. Once your chicken is cooked and your veggies are done, drain the low-carb fettuccine (I’m using this stuff from Eat Water) and stick it into the pan with the chicken and veg. Give it a good stir and plate it up. 4. Add the nutritional yeast and olive oil at the END. You don’t want to heat up the extra virgin olive oil; it’s best eaten ‘raw’ as it were, that way it retains all its nutritional goodness.